Eating a variety of red fruits and veggies like tomatoes, strawberries, red apples, beets, watermelon and red peppers offers a wide range of potential health benefits. Blueberries, blackberries, grapes, plums and eggplant contain a range of anti-aging phytonutrients. Learn why berries may be potent allies in the fight against chronic diseases. Learn why eating carrots, sweet potatoes, pumpkin, oranges and other yellow/orange fruits and veggies may help keep your heart and immune system healthy and reduce your risk of cancer. 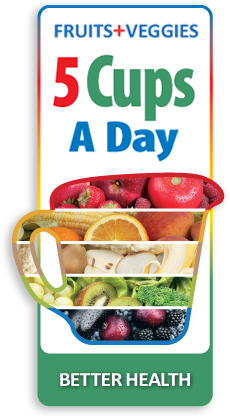 Learn how dark leafy greens like spinach and kale may protect your eyesight and how cruciferous veggies like broccoli and Brussels sprouts may help protect against cancer. Add white and tan to the rainbow with onions, garlic, leeks, cauliflower and mushrooms. Learn why scientists are so interested in the wide range of potential “white” health benefits. Click on a color. 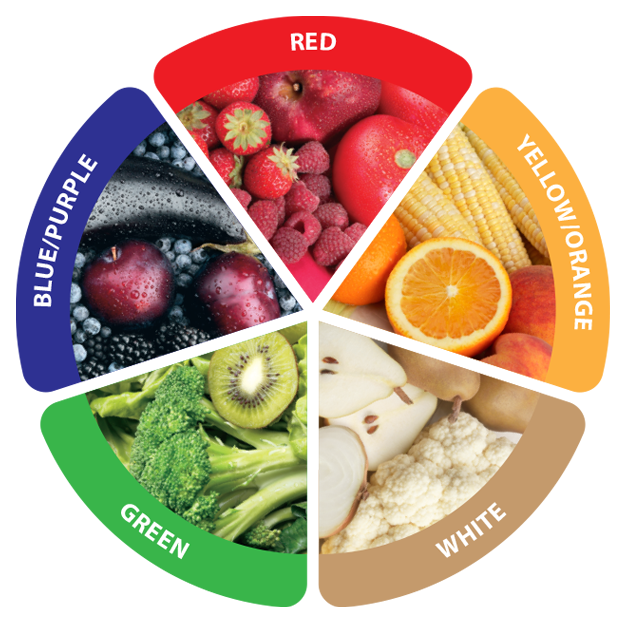 Learn about the health benefits of colorful fruits and vegetables. 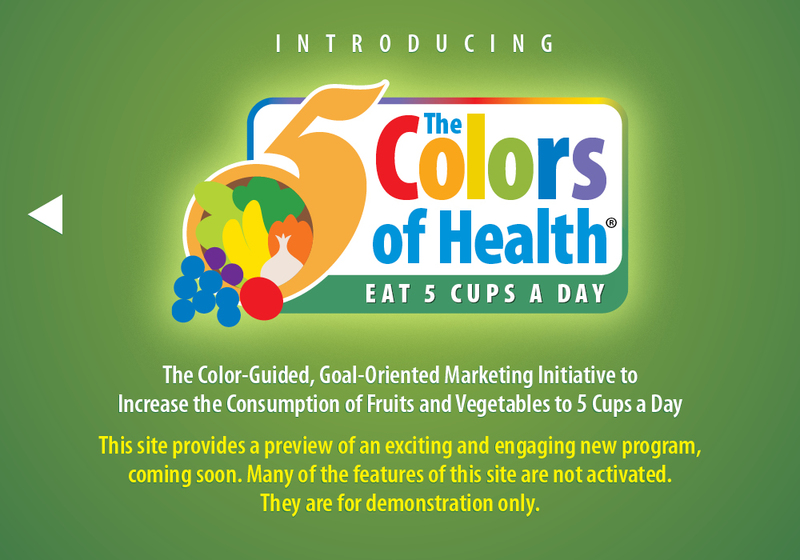 This website is presented by the Food and Wellness Group … creators of The Colors of Health®. 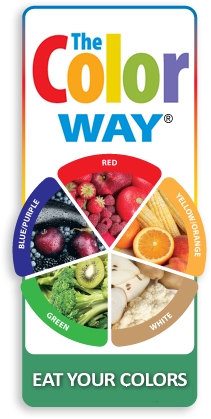 Its purpose is to provide a brief look at and into The Colors of Health® for retail food and foodservice businesses, health organizations, commodity groups, and the 100,000 dietitians across the country. 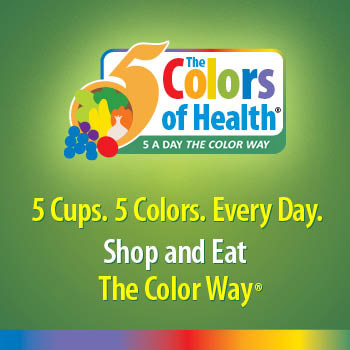 The Colors of Health® is a goal-oriented, color-guided fruits and veggies health initiative designed to engage, inspire, and influence all Americans on a daily basis in buying and eating a colorful variety of fruits and veggies, in all 5 forms, helping them strive for and reach the DGA goal of 5 cups a day for better health. 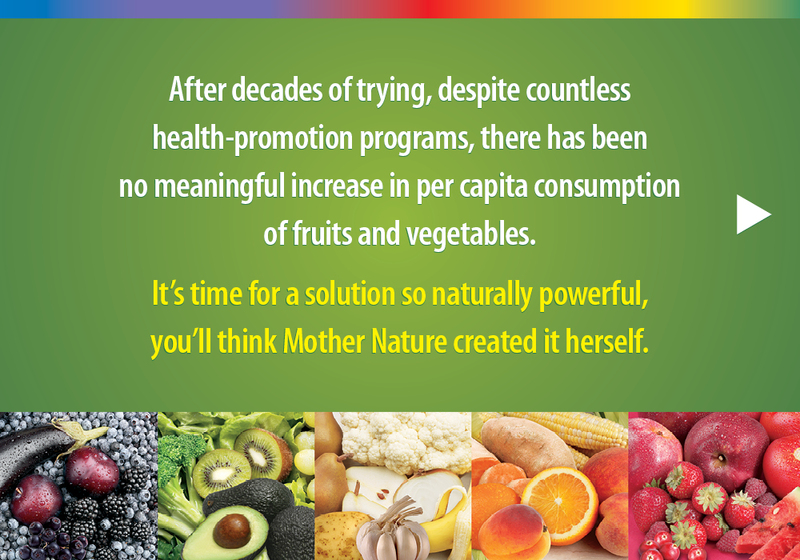 If you have interest in addressing the challenge to increase the per capita consumption of fruits and vegetables for better health, we welcome your inquiries to learn more about The Colors of Health through the Contact page at the end of the site. 5 Cups. 5 Colors. Every Day. Copyright © 2016 Food and Wellness Group. All Rights Reserved. 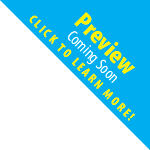 Preview only. Many of the features of this site are not activated.